Ceramic fire tube - General Discussion - Drive On Wood! 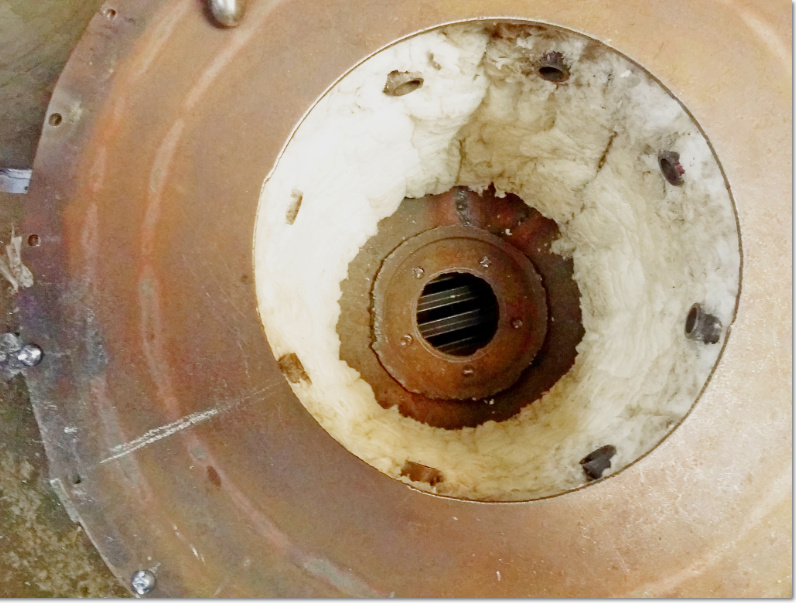 Packing size: 19" x 19" x 25"
continuous upper using temperature is 2800°F, any opinions of which would be best? Hi al, all i used was the 8# stuff on the bargin parts page last post above, same as what justin used.Though i havent run hard or long enough or for evauation yet.what ever it says rated for. Seems too work good in the cold weather, run the forward and reverse fans 2 times about 60 secons each, its making start up wood gas. Thanks Kevin, I was hoping some one tried rigidizer, or coating on the ceramic, if not I’m going to try one of them. I have 14’’ light wall, I could shrink it to 12’’, and use 1’’ blanket. Good. I have light wall 12 inch in the junk pile. 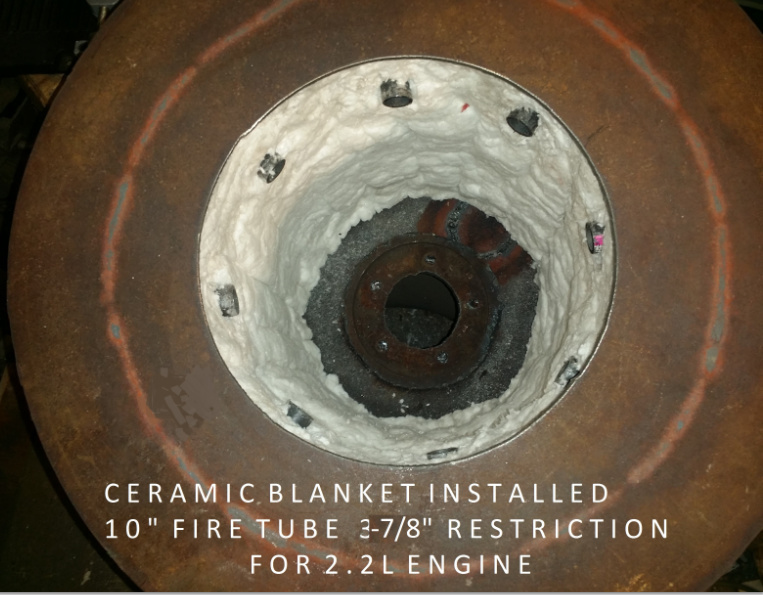 Al, that is what I am using for my 96 S-10 2.2 L. 14 inch tube and 2 inch thick ceramic blanket. Thanks for the picture Don, do you think a 12’’ pipe with 1’’ ceramic would work? I think so. I just used 2 inch because I got some cheap. Yes, Tom, I did manage to cut one side loose after you relayed your problem. Thanks for that tip. Hi DON MANNS I caint wait too see what kind of miles per pound you get on you s10, i dreadfully had too put a v6 in my s10 and it eats about 1&1/4 too 1&1/2 pounds average mile, i might get close too pound mile putting slower speeds if i dont gas it too much.i dont have any heat recycling made yet, too check that later when changed around. My grate just sits on the ledge at the bottom and makes good size charco for small engine, so the opening are about twice that of my WK moveing grate.So far if it gets slugish i can give it more wood throtle too get it loose for hopper vac reading. Just woundered if you have tryed any water glass on ceramic blanket yet, if its water glass and good for 1990 degrees f it should work while stableizinf the dust particles from ceramic blanket.? Any way looking too buy or posibly make the stuff. I don’t have dust problems on my ceramic blanket and being 2 inches thick I don’t think I am going to monkey with it but in your case it might be good. Good afternoon Don Mans, Mine is all covered with SS cubord tin i had around hear. Other than the notches i put in the tin as heat sinks, So i will have too experiment with water glass on next Build, i probley dont need as it sets up hard after it gets hot , havent checked the blanket since started useing the gasifier, I will wait till summer too evavuate the ss tin cover and the ceramic blanket. It dusted me prettyAbad while makeing the restrictor larger for the bigger motor, it would be interesting too see how the waterglass might help. Adding some leafs too the rear springs now today. Hi Don, is the bottom of your fire tube flat, or domed, mine is flat, but then I remembered reading Wayne saying something about a flat bottom not holding up. Whether it holds true for these with ceramic I don’t know. Thoughts? 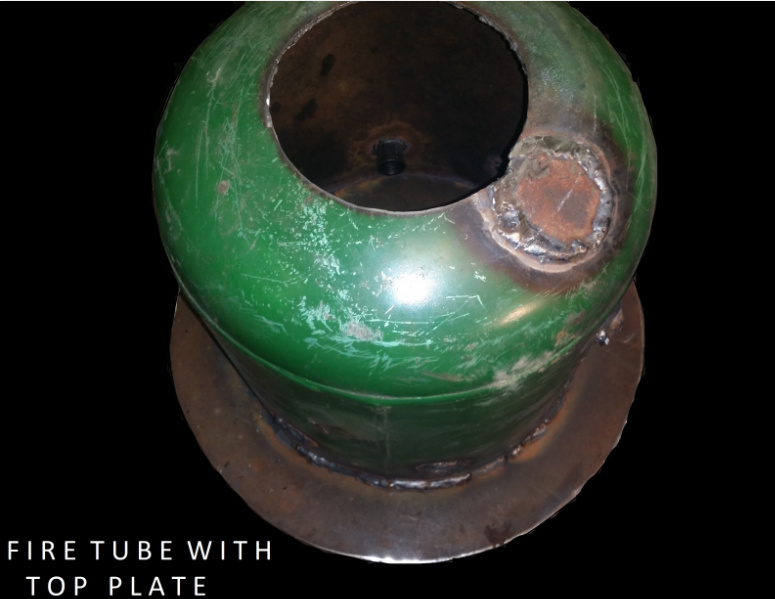 Al, mine is domed, - part of an air compressor tank. If I remember correctly it had something to do with the welding integrity at the shroud to the bottom of the firetube. Since there is no shroud with the ceramic firetube it may not be an issue. Thanks Don, that’s what I thought it was the shroud, but made me second guess it. maybe some one else will chime in with other thoughts? What did you use for the restriction?